I have to admit that I'm a tea-drinker and don't like coffee much at all. But Tim can't start the day without his, and it used to result in an expensive daily purchase of take away coffee because he couldn't stand the crappy instant coffee he'd tried. A while ago he found a brand of tasty instant organic coffee at the supermarket, but it's pretty expensive at $8 for 100g. Fortunately, when I went looking on the shelf for it at the supermarket yesterday there was none there, so I checked online. The Australian company, Nature's Cuppa, is having an online special on the coffee granules I was after, at $60 for 6 jars of 200g, including shipping. That's $5 per 100g instead of $8, so I saved $36. 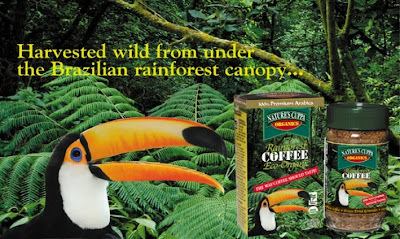 The coffee is certified under international codes for its organic and environmental protection of forests, birds and wildlife. I thought a coffee-drinking reader or two out there might like to take advantage of the bargain as well. You could try some at the supermarket before buying 6 jars of it. I also went looking for a good thermal cup, because the ones we bought in the past broke after a couple of months. I found the KeepCup. They're cute, environmentally-friendly and the company is based right here in Melbourne. It's designed to replace unrecycleable take-away cups when you visit a cafe with it, and is made from the most eco-friendly plastics they could use. We also drink that coffee. 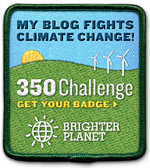 Will go check out the link... thanks! 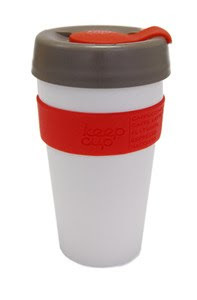 I want a Keepcup too... maybe I'll just have to treat myself! So many nice colours!